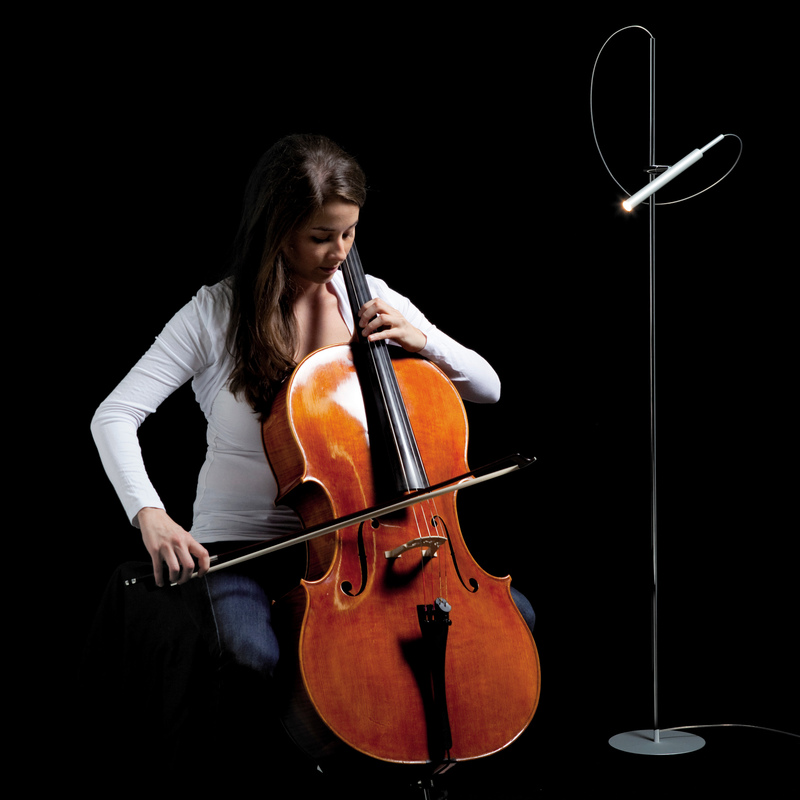 The Ecco LED Flamingo Terra is a functional and minimalist floor lamp from the house LDM. The lamp is made of aluminum and is distinguished by its simple style and its high flexibility. Thus, the LED bulb is connected in the lamp shade by a holder to the lamp body and freely rotatable and pivotable. This guarantees an optimum and energy efficient lighting. The Ecco LED Flamingo Terra comes with three lens attachments through which the light effect of the light can be adjusted individually. So beam angle of 15 °, 25 ° and 43 ° are possible, whereby the Ecco Terra LED Flamingo can serve as a targeted and highly focused spot or able to provide a larger area lighting. The Ecco LED Flamingo Terra has is through their subtle colors, in five variations between free choice, and with its clean lines, a simple but elegant design. Optionally, the light is equipped with a sensor dimmer which allows for easy lighting control. Thus, the Ecco LED Flamingo Terra Floor Lamp by LDM is a flexible, elegant and above all very efficient addition to any home or business.